Staff players Tyrrell Hatton and Tony Finau rocked up to the US Open in June with them in their bags. Hatton announced on social media he loved the softer feel and lower ball flight of his new i210s (going on to finish sixth), while Finau had an unnamed forged Ping hollow-body long iron in his bag. In all fairness to Ping, no details have slipped from their lips about either new iron until the covers were pulled from both at The Open… but we were given both sets weeks before so we could test them first. What started as a trickle of hollow body irons when PXG launched their first in 2014 has turned into a full-on flood for 2018. TaylorMade drew the battle lines when they joined the hollow body party in August 2017 with the P790s. Then it was Titleist’s turn with the 718 AP3, before Ping entered the ring with the G700 in January 2018. 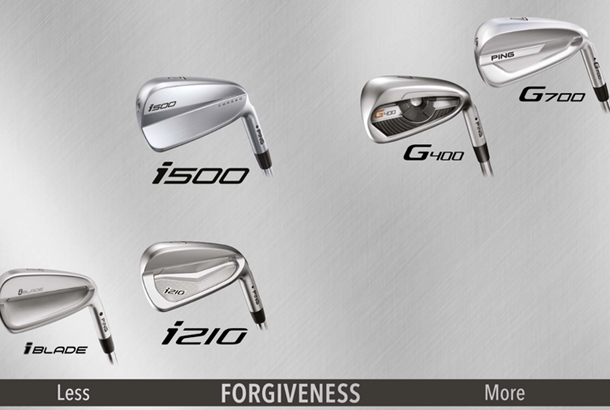 But where G700 is aimed firmly at the distance/game improvement market, the i500 is very much a player’s distance iron. Why? There’s a hollow body construction, which increases forgiveness and playability, and a forged face, but no mention of tungsten weighting or internal foam to dampen vibration (like its rivals from TaylorMade and Titleist). How does i500 compare to Ping's other 2019 irons? A players’ distance iron, with a compact head size similar to Ping’s i200. Hosel offset is the same as the iBlade, but with similar amounts of face flex as the G700 – a potent combination for tons of reasonable ball-strikers. By using the same forged maraging C300 face in the G400 fairways and hybrids (it’s three times stronger than the 431 stainless steel in the i200) Ping say the i500 has five times more face flex than the i200. The face isn’t the only part of the i500 that flexes at impact. The top rail does, too. It allows Ping’s engineers to add stronger lofts to maximise distance, but also deliver a high, towering ball flight for an iron of this size. 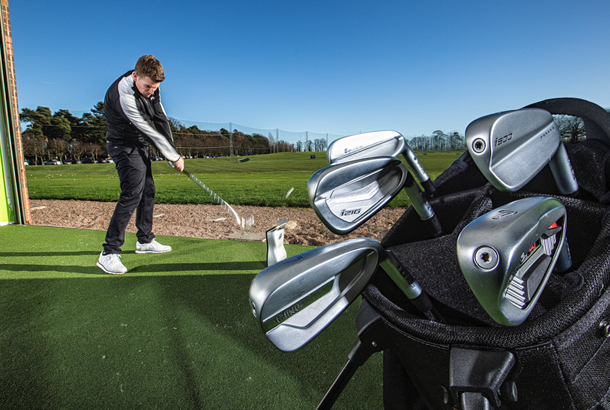 The forged faces and grooves are precision milled, ensuring shot making consistency from all lies. Ping says a new hydropearl 2.0 finish scuffs less and is better at cutting moisture between ball and grass to help eliminate fliers. Ping and “forged” are two words rarely uttered in the same sentence. 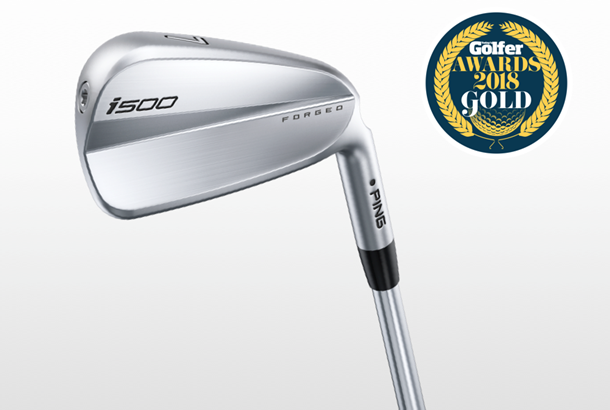 It’s so rare, in fact, that we believe the i500s are only the second Ping iron model in the last three decades to incorporate any form of forging (albeit on this occasion it’s only the face that’s stamped into shape, as the body is still cast). Almost as rare as forged Ping irons are beautiful Ping irons. 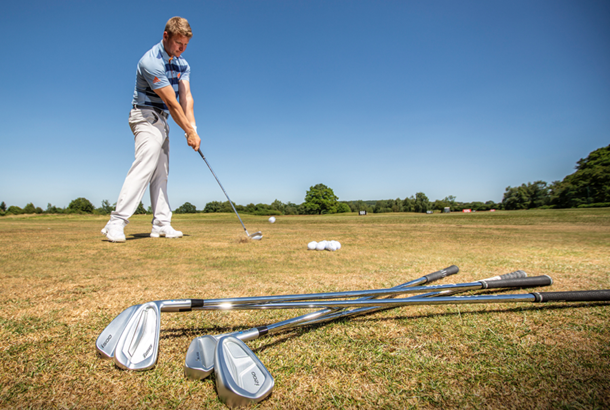 Don’t get us wrong, the company’s brilliant at making super-forgiving and playable irons which can be custom fitted to any golfer on the planet. But we can’t remember the last time one of their iron’s beauty bowled us over... until that is we saw the i500, which is stunning. To illustrate where each new model fits into Ping’s range, we got TG test pro Kevin Hale to hit both, along with the current iBlade and outgoing i200 (all of which fall into the better player category) to reveal how all four models compare on a launch monitor. Everything you need to know about iron shaft weight, and why it's now more important than flex. Simply a stunning looking iron. Who doesn’t want a sleek blade design that’s really playable? It’s exactly what reasonable ball strikers and half-decent club golfers have hankered after for years. Gone is the typical Ping boxy head shape and what’s left behind is quite possibly Ping’s best looking iron ever, with a narrow top line, thin sole and beautifully shaped head that appeals to a wide audience of golfers. Ping says the i500 is on average eight yards longer (but can be up to 15 yards longer with the 7-iron) than the i210, which is unheard of from a manufacturer. Who says one of their two new irons doesn’t go as far as the other? It’s a bold statement, but our numbers completely support Ping’s data, with the i500 7-iron carrying seven yards further than the i210. Our test pro reckoned impact sound was a little louder than the i210 which is down to the hollow head. Just as Ping promised, i500 produced the fastest ball speeds of all four models – 6mph extra over the iBlade (and 2-3 mph over the i200 and i210) is seriously impressive. i500 launched shots into the air at a similar angle and peaked shots out at the same height as the other irons, meaning even though they span less you’d still stop shots on a green. Incredibly i500 (with the 7-iron) was 16 yards longer than the iBlade which in part can be explained by the 3.5° stronger loft. But if hitting almost two clubs less into a green isn’t the perfect demonstration of how far iron tech has come, we don’t know what is. Where does i500 fit in? How much difference is there between blade and cavity-back irons? It goes without saying if you buy a set of beautiful forged irons you’ll want some forged wedges to match, so it’s absolutely no surprise Ping have introduced a new Glide Forged wedge, too. Unlike the i500 irons the wedges don’t have hollow bodies. Instead, they’re made from a single piece of forged 8620 carbon steel. Ping says the profile’s refined with a rounded leading edge and tapered hosel to give a compact tour inspired profile.